I am still getting back in the swing of working full time and managing everything else so the blog posts have been taking a bit of a back seat, but I am working on getting everything organized! I thought I would share what's been happening in my life via Instagram. This week has been a busy one, yesterday I went around parts of Los Angeles with my coworkers and handed out flyers for previous homes we have sold, while it was hot and tiring I did get a pretty awesome view of the city. 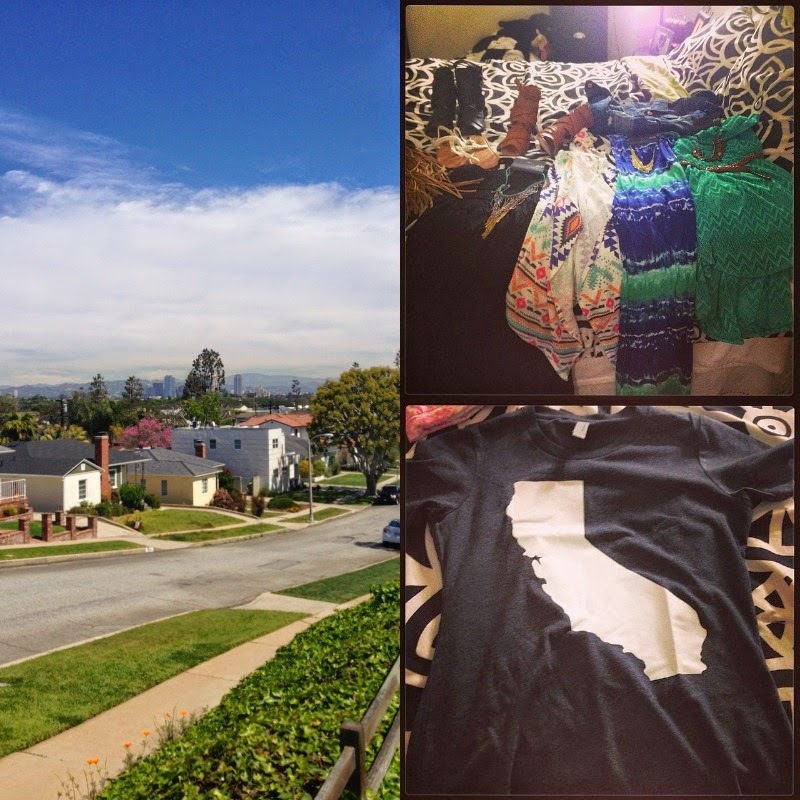 I also got this awesome Cali state tee that I CANNOT wait to style! Another favorite was my Deb Blogger picks that arrived! Hope everyone is having a stylish week, we are almost to Friday!